Amazon announced that it will acquire comiXology, the digital comics platform that had its 200-millionth download last fall. 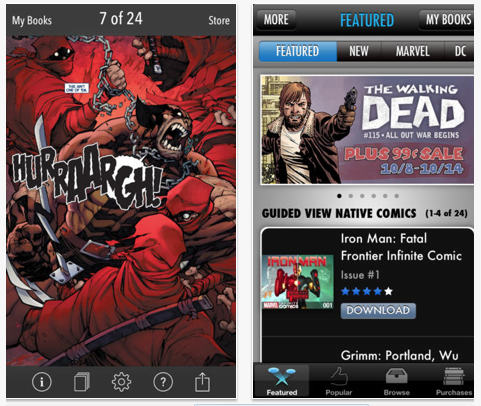 With the sales of physical comics fading, comiXology is developing tech to allow the craft to move online. The company operates a comics store and a mobile comics app, which was the top-grossing non-game iPad app from 2011 to 2013. Its library includes 40,000 comics from 75 major publishers. ComiXology also opened a self-publishing platform last year. While exact plans are not clear, a comiXology spokesperson said the companies would likely develop ways to make comiXology and Kindle work better together.